Overwatch’s latest hero Baptiste comes equipped with a powerful ability that keeps teammates from dying for a short period of time. But players can get in a world of hurt by not knowing when the Immortality Field runs out. Although there are plenty of Overwatch fans who think the Immortality Field is busted, others are noticing that the ability has a flaw which is catching a lot of players by surprise. Reddit user Frojo23 came up with a simple change that could be added to the game which would give players a much better idea of when the life saving ability times out. Frojo suggested a quick quality of life improvement by integrating a small indicator, that could be exclusive to Baptiste or the whole squad, which would show the health or time left on the Immortality Field. The Immortality Field can be a saving grace for teams under fire, but some people would appreciate a timer of sorts to know when to leave a bad situation. The suggestion relies on a simple addition to Baptiste's HUD which would immensely help players by giving a notice to not rely on the Immortality Field for too long. 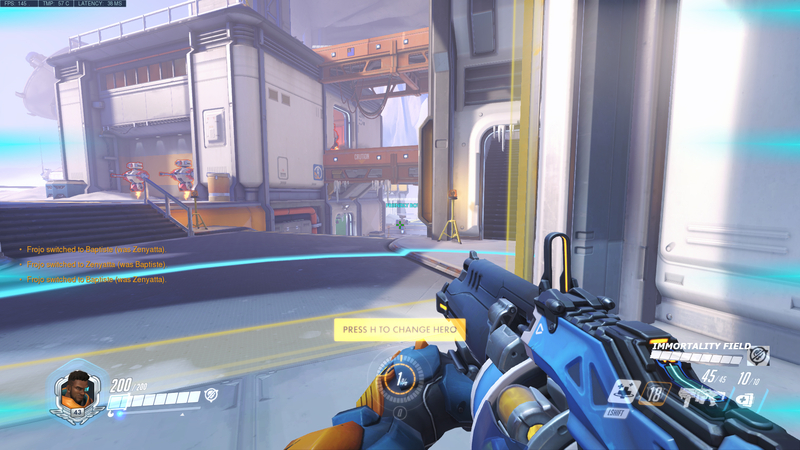 The simple change can be found on the lower right above Baptiste's Ability UI. The suggestion was met with a positive reception with some players even improving on the idea that could make the change more stable. The Immortality Field gives a huge blanket of security for battered teams, but the ability could leave players in a worst state without a proper way of knowing when the protection ends.